Once you start a business the clients will roll right on in, or will they? The biggest part of the business startup budget is associated with marketing. Here are some ways that you can market your virtual assistant business. 1. Advertise – Advertising has gotten a bad rap at times because there are those who would use it to scam the consumer. Still, if false advertising can attract people, so can honest advertising. Place ads in the local newspaper’s business section or the Yellow Pages. But, don’t stop there. 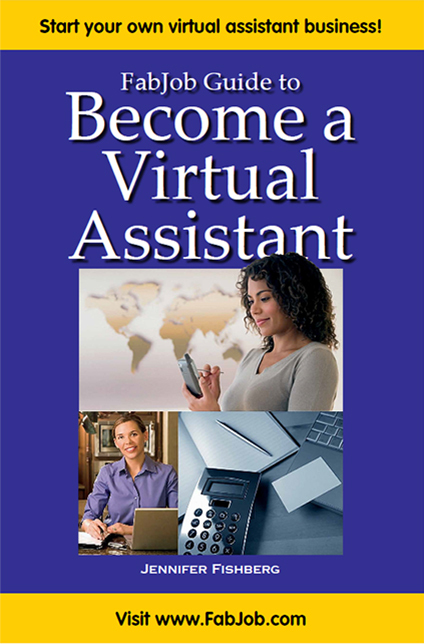 Consider business trade magazines to advertise your virtual assisting skills. 2. Write content – There could be a writer in you. if so, let it out and help your business. Many sites exist like eHow, ezinearticles.com, and other content sites that accept free article submissions on business and other topics. Use your virtual assisting skills to create a following through writing great Internet content. Use your bio box to draw the reader’s attention to your virtual assisting business. 3. Begin a website – Websites are great for selling products and/or advertising yourself to a larger audience. This website address can be used in you signature line in emails and on articles you write to track back to your website. People will learn about virtual assisting and how you can help their business. 4. Create business cards – You never know who you might meet. It is always handy to have some business cards. Be sure to include your name, telephone number, and website and/or blog address. On the back of the card, list a few of the skills that you can provide as a virtual assistant. 5. Social networking – Social sites like Facebook, Twitter, MySpace, and YouTube offer huge forums to attract likeminded business professionals. Create social groups with other virtual assistants and business professionals who can utilize your business skills. 6. Email marketing – It is much the same as direct mail, but involves referrals from people who visit the website and also links back to your website where the potential client can look around and get a feel for your expertise. 7. Promotional items – Get involved in the community. Give away magnets, key chains, and other merchandise that carries your business logo at trade shows. Sponsor local charity functions and get your business name listed on T-shirts, mugs, and other giveaways. Marketing a business is not easy. There isn’t just one way to do it either. Try one marketing idea and add others as you deem necessary.